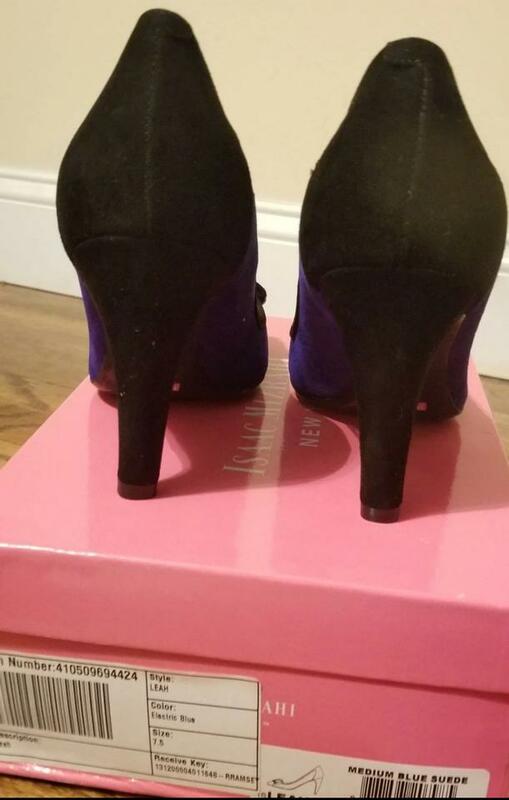 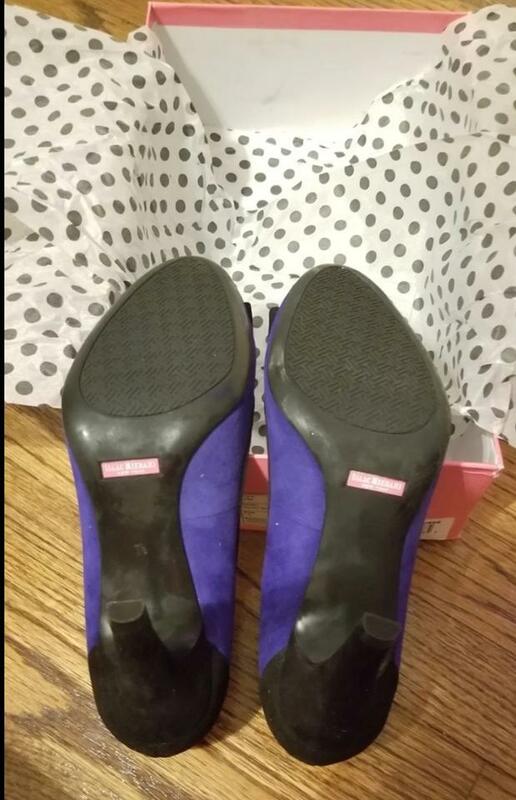 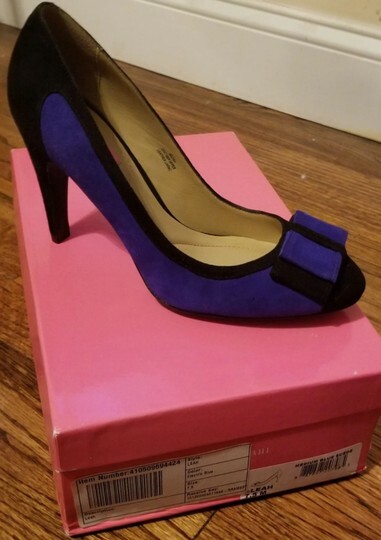 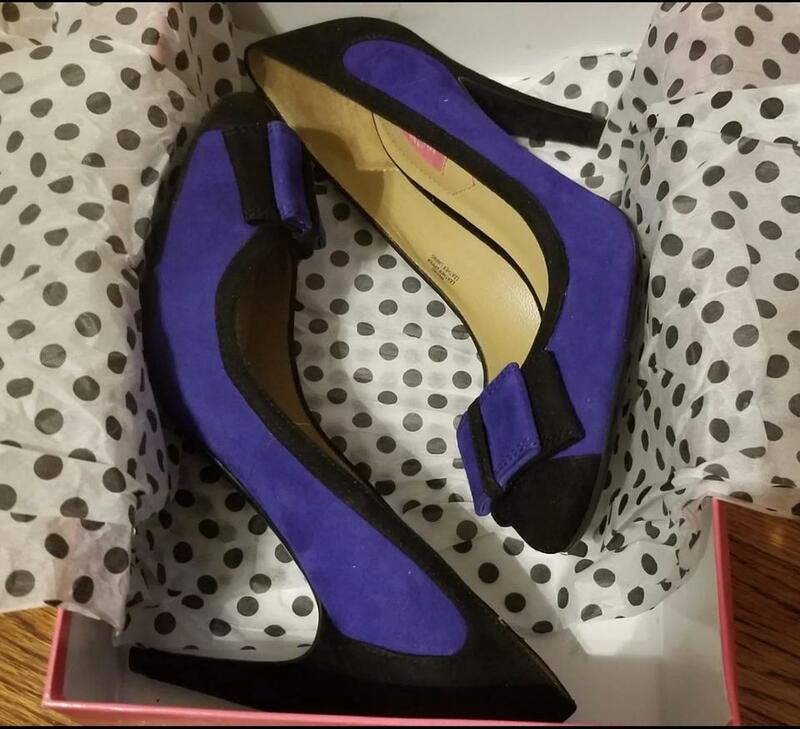 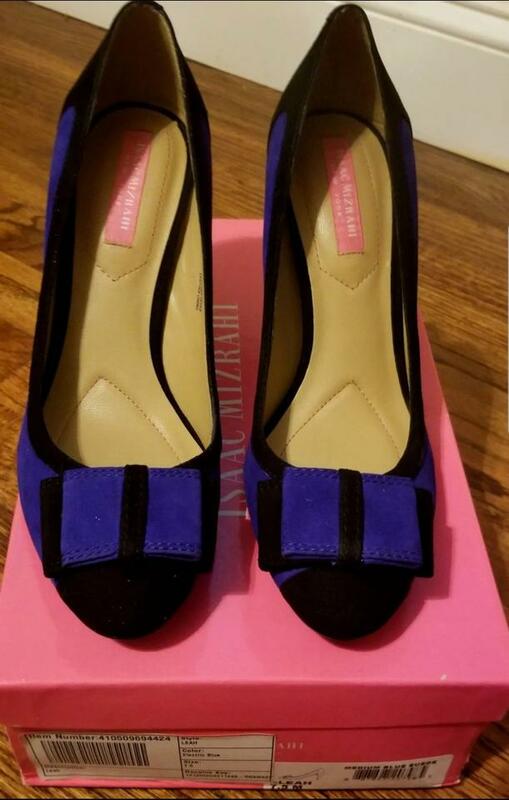 Brand new, original box/packaging, Isaac Mizrahi New York Leah Pump is a gorgeous electric blue with black color blocking classy shoe. 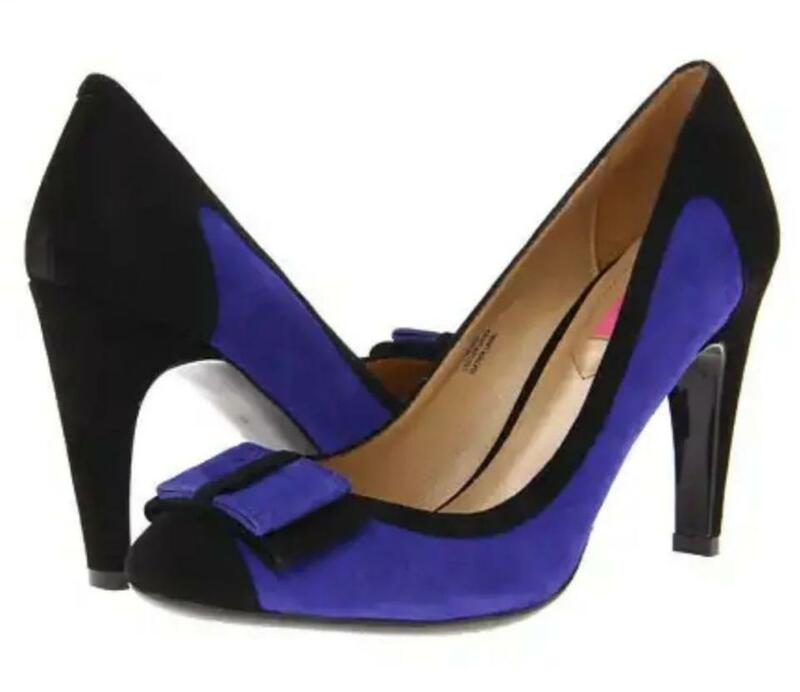 Real suede upper, leather lining, rubber, anti-slip sole. 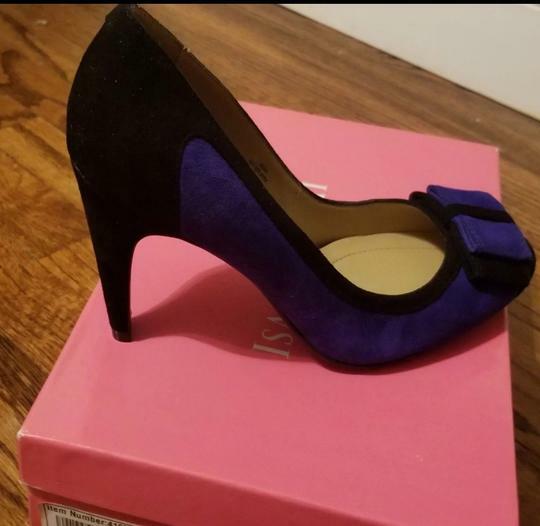 Heel measures approximately 4".